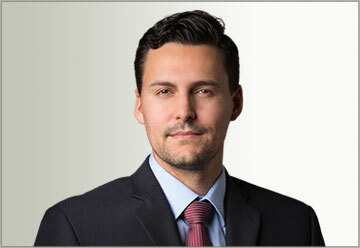 Arnold van Dyk is a licensed California Attorney with an LLM in taxation. He received a Faculty Scholarship to attend California Western School of Law in San Diego, and graduated in 2008. After Law School he attended Chapman University School of Law, and obtained his LLM in taxation. He received the CALI award for excellence in International tax, Corporate tax as well as Estate and Gift tax. His passion for tax law is a great benefit for all the clients he represents. Mr. van Dyk has extensive experience in the tax field. He has represented hundreds of taxpayers in tax court, audit, as well as collection proceedings. His areas of expertise include all issues relating to individual and corporate taxpayers, audits, audit appeals proceedings and collection due process hearings, as well as litigation in the United States Tax Court. Home > Arnold van Dyk, ESQ.